While many people will attempt to have a birthday party at their home, they generally are less than enthusiastic when the cleanup begins afterward. There are many reasons that you should consider partnering with a large event center for your upcoming event. If you are looking to plan a great birthday party, these are some of the reasons you should consider partnering with Stokely Event Center. For your party to be fun, you need to have an atmosphere that screams fun and will remain memorable for all in attendance. We have put a lot of effort into making our event center the most unique venue in the Tulsa area. Guests will love our huge assortment of vintage signs from the Tulsa area and neon lights that make our venue so unique. To have a great birthday party, you need to have great entertainment options to keep your guests engaged and excited. With our Plug and Play sound system and classic free to play games, you will have phenomenal entertainment options for extended fun. Whether you want to dance the night away or have a SkeeBall tournament, your guests are sure to have the time of their life! Stokely Event Center spans over 3,500 feet and can be utilized in the way that best benefits your event. 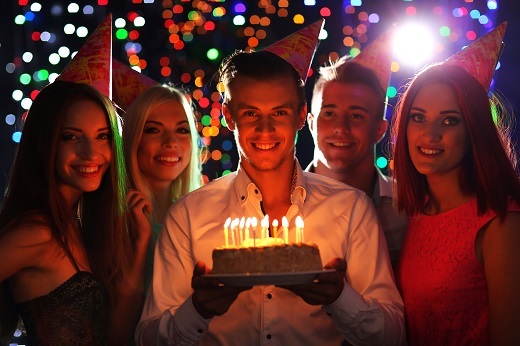 No matter what plans you have for your birthday party activities, our staff will be here to make sure you have the space needed to make it happen. If you have any questions about the space availability in our venue, let us know. We would love to help!